Outdoor dining in along Rue Rossetti in Nice, Provence, France. 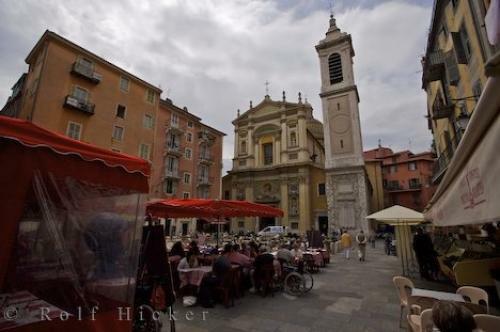 Street Cafes along Rue Rossetti backdropped by the Bell Tower of Cathedrale Sainte Reparate in Old Town of Nice, Provence, Cote d'Azur, France, Europe. Photo of the square along Rue Rossetti in the Old Town of Nice, Provence, France.